What happened to all the different Text Font Sizes?? Font Size is what this email is about but before I get into it. I just wanted to say that the intent of last weeks email wasn’t to speak badly of any Application Engineer’s or Sales Reps, but to let you know that this years COE looks loads better than the one I went to. My good friend brought this to my attention so with that I wanted to let everyone know that. So on with the Email. Right around R14 Dassault decided for some reason or another to round off the values for the text height. Why they would do that I’m not sure but they did. But here is the 2 step process to follow to correct this. Now do be aware that this is a CATSetting. So if you want to always see this you will need to restore your ‘Good’ CATSettings and then back them up after you have modified the Font Size to your liking. 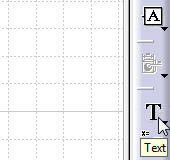 As you can see the Pull down menu for the Font Size is now editable.. But the issue remains It is 0.01. Now we all know that is incorrect. You can see for yourself in this picture that we don’t have 2 fonts at 0.01 in.. Well we may but I’m fairly certian that we don’t. When your right click over the Font Size area a menu will pop up. You will need to go to the very bottom of the menu selecting the arrows at the bottom to extend past the Message Log. 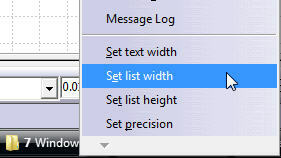 Here you will find the Set Text width and Set precision menu selections. The first thing we will do is set the text width. This tells CATIA to make the trailing Zeros more than 2 numbers. You can set it to what ever you want to but for the purpose of this Mailer I chose 5 spaces. The next one is the important one. Where the ‘Set text width’ tells CATIA how many spaces to show after the decimal the ‘Set precision’ tells CATIA how precise we want to see it. For example if you left the precision at 2 but had the width set to 5 you would see for the first font size 0.01000 in instead of 0.00984 in. As you can see now we can tell what the Font Sizes are.